Climb Mt. 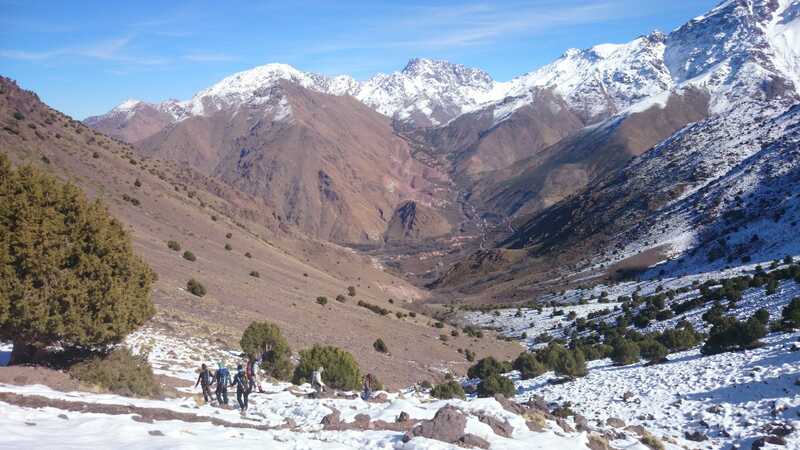 Toubkal the great climb mountain in the Atlas mountains. 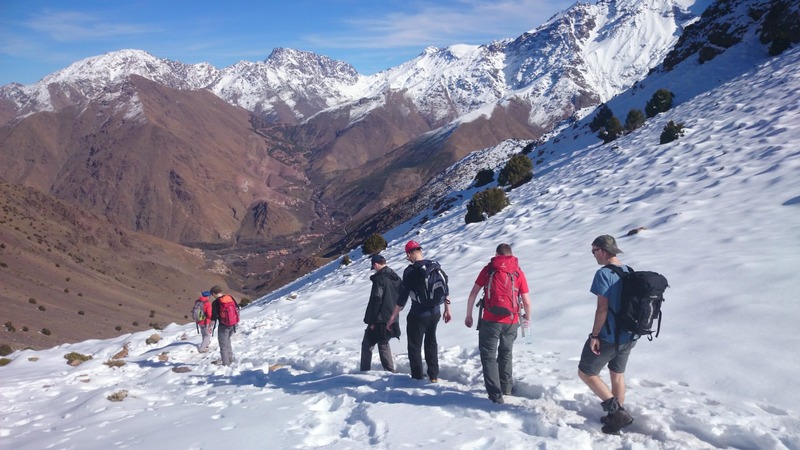 Trekking the High Atlas mountains leaves a lasting impression. Mt. 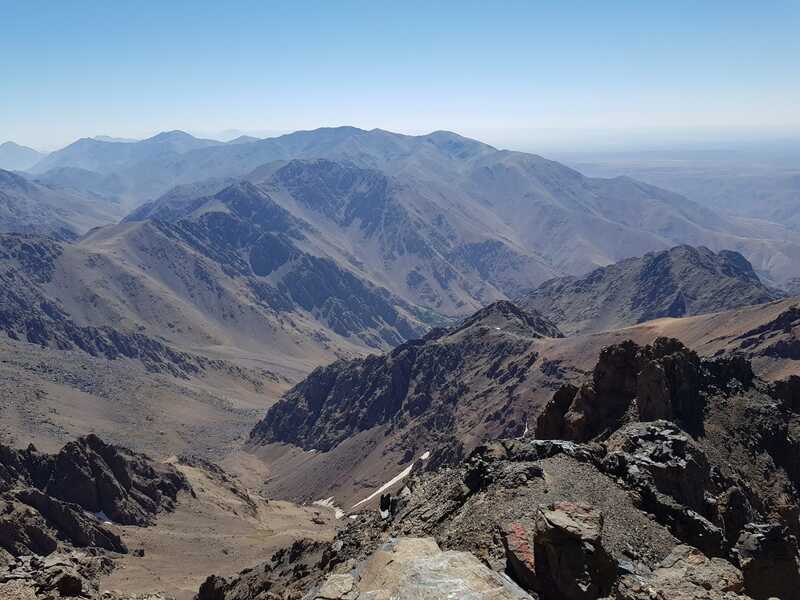 Toubkal, known locally as Jebel Toubkal, is the highest mountain in North Africa standing at 4,167m/ 13,671ft. Located in the High Atlas Mountains, the greatest mountain range of North Africa. This mountainous region close to Marrakech is the most beautiful and intriguing part of Morocco. It has retained a remoteness which is intriguing. Villages lay undisturbed and the local way of life hasn’t changed for centuries. Upcoming trips. This trip enables you to enjoy both the mountains, and the colourful local culture of the Berber villages that are built into the steep valley sides. Your local guide can tell you all about the local culture and traditions, so you get an amazing insight into the region. 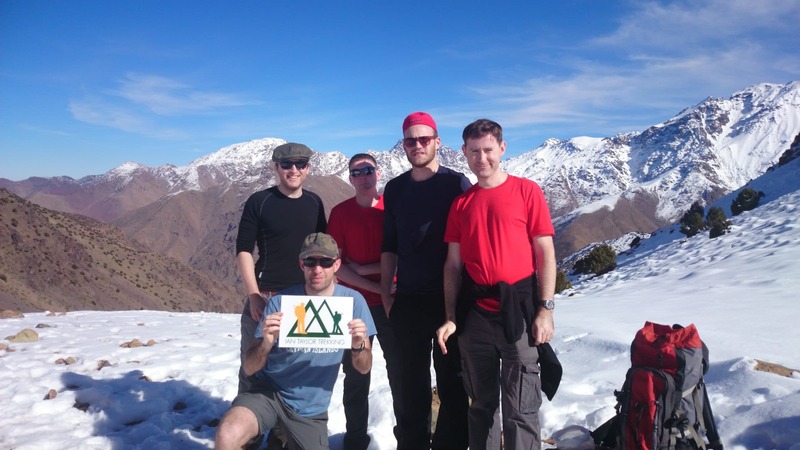 Ian has climbed Toubkal 4 times and available to help you prepare for your Toubkal climbing adventure. We have 100% success rate, second to none. 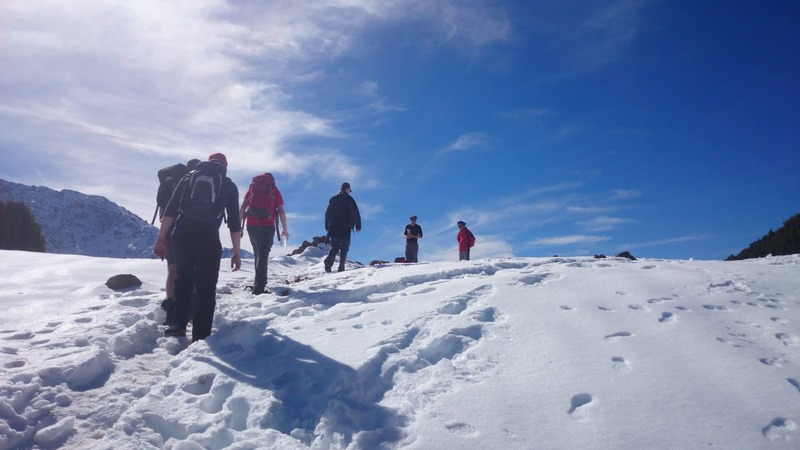 To climb Mt.Toubkal, you need be be prepared. Snow in winter and warm in the summer you need to pick your climbing season. The trek passes through impressive landscapes on well-defined paths encompassing breathtaking scenery. As we climb higher, the paths become steeper and rugged in places. This rewarding trek passes through remote villages and terraced fields offering us an insight to the life of the hardy and friendly Berber people. Check out our available climbing dates. We have a range of itinerary options for climbing Mt. Toubkal. We also have a range of services from basic for 5 star hotels with more guides and support for your climb. The start of the trek is just a couple of hours drive from Marrakesh in the beautiful town of Imlil. All adventures on Mt. Toubkal start in this unique mountain town. Imlil has a unique mountain vibe and one we are sure you will enjoy. The food, people are warm and welcoming and nice place to relax before and after your trek. Toubkal is a great experience but you should consider additional time n Morocco and time around these mountain villages. You would find time to explore Morocco’s most captivating city, Marrakesh. While in Morocco it is worth spending an extra few days to explore the desert, cities and unique picturesque scenery Morocco has to offer. 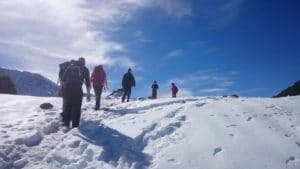 This trek is a truly unique and exhilarating way to experience the Atlas Mountains as well the fascinating Moroccan culture. Climbing Toubkal in Morocco is a great introduction to high altitude mountaineering. 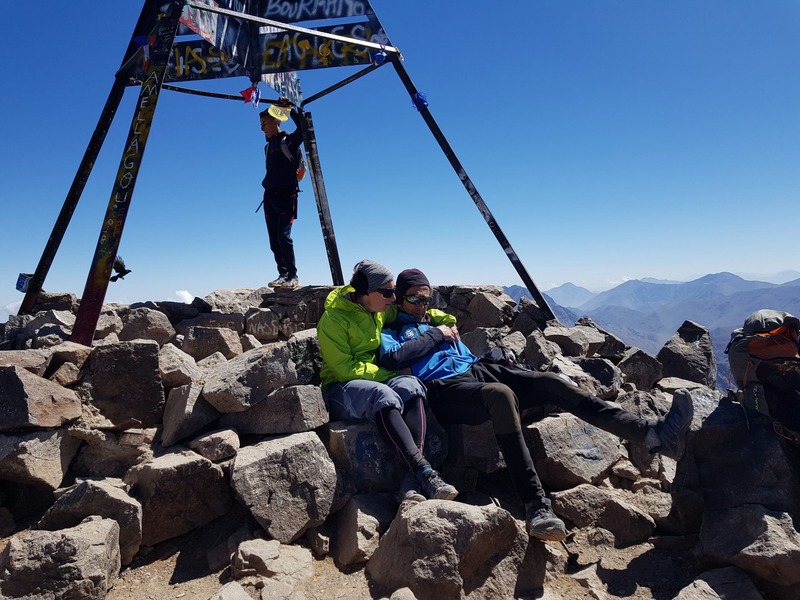 The climb to the summit of Mt Toubkal is challenging, but requires no mountaineering experience and the panoramic view of the High Atlas Mountains makes the hard work worthwhile! The trek passes through impressive landscapes on well-defined paths encompassing breathtaking scenery. As we climb higher, the paths become steeper and rugged in places, however the gain in altitude awards dramatic views towards Marrakesh. Row after row of sharp granite peaks in the Atlas Range. This rewarding trek passes through remote villages and terraced fields offering us an insight to the life of the hardy and friendly Berber people. Climbing in the Atlas Mountains in Morocco is no longer the domain of professional climbers and a few amateurs. Times have changed and now there are treks for all times of year and all levels of fitness. There are treks to test the fittest athletes and other where you can have your bags carried, arrive to find your lunch laid out for you and sleep in luxury. The High Atlas, the greatest mountain range of North Africa, is perhaps the most beautiful and intriguing part of Morocco. It has retained a remoteness which until recent decades was virtually complete, and contains villages where the way of life has changed little for centuries. The cost range from $1,200 to $1,800. All participants must be aware of the potential risks. The high altitude and remoteness make the mountains a huge commitment when undertaking. Be physically prepared before the trip and know how to cope with altitude while on the mountain. The trek leader has absolute authority regarding the welfare of the group. If the leader decides to send somebody down the mountain, either for the team member’s or the group’s safety, the guides instructions must be followed. 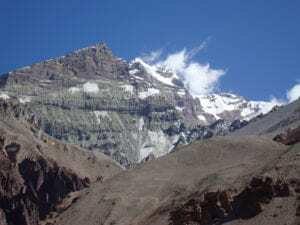 However, given proper preparation and fair weather conditions, there is no reason why fit and healthy trekkers will not be able to reach the summit. In contrast, Marrakech provides an interesting start and finish, where you can relax and enjoy shopping and eating in the French area boulevards or the narrow alleyways of the medina. For those who enjoy haggling, it’s a must to visit the Souk (local market) in the centre of Marrakech, and to try and negotiate a bargain. Enjoy the local cuisine, couscous, mechoui, pastilla and tajine, as Moroccan food is considered by many to be the best in Africa. In the souk markets, many try and haggle for souvenirs. All meals (breakfast, lunch and dinner) are included on trek. Whilst in Marrakech meals are provided from dinner on the first evening with breakfast the following morning, then dinner on the last night with breakfast on the morning you depart. You only normally require warm clothing above 3,000m where it is cooler. Read some REVIEWS from our trips. You will be met in Marrakesh airport 500m/ 1,640 feet by our staff and transferred to our 4 star hotel next to the old city walls. 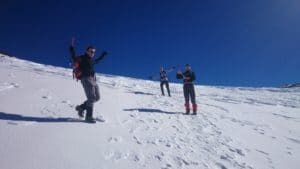 This will give you a chance to explore the city and enjoy the unique city of Marrakesh and rest and re-hydrate before the start of our Toubkal Climb. In the evening, a meal is provided at the hotel. Here you will meet the rest of the group, as some people may arrive on different flights. We have people join from around the world. Marrakech- imlil. This morning you will be transferred to the small Berber village of Imlil. Imlil is about 1.5 hours drive south and 1,740m/ 5,709 feet. There are no more roads after Imlil, the trek begins. You will trek to Tizi M’zzik at 2660m/ 8727 feet in the nearby Mezzik Valley. This will take around 5 hours including a lunch stop. After arriving at the hut, get settled in and keep warm! Enjoy some great views as the sun sets across the Atlas mountains. Imlil – Refuge Mouflon. Enjoy a good breakfast, then set off soon after. Today the trail gains almost 1,200m as the trek passes the Muslim shrine of Sidi Chamarouch, and the tomb of the Marabout. From here the path leads upwards to reach the comfortable Mouflon mountain refuge 3,200m/ 10,521 feet. This is the highest hut in the Atlas mountains, and is situated at the foot of Mt. Toubkal itself, and you are likely to be based here for the next three nights. 6/7 hours hiking about 18 km/ 11.1 miles of climbing 1,200m/ 3,937 feet of elevation. Refuge – Ouankrim. 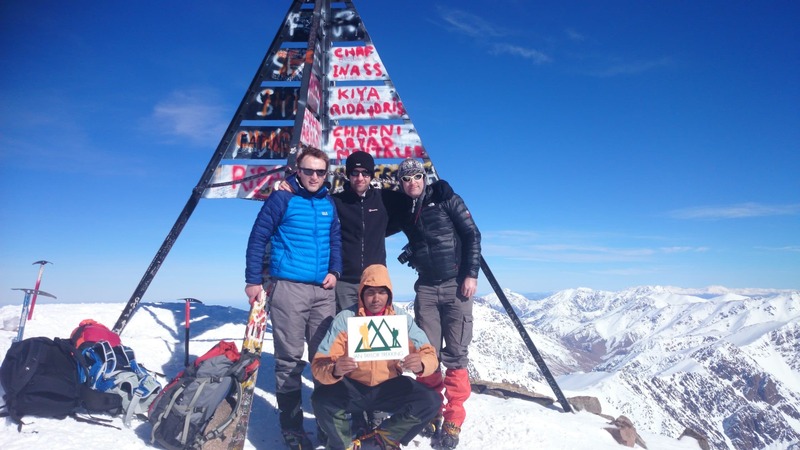 The mountain refuge of Mouflon 3200m/ 10,521 feet is a perfect base for the final training climb and summit, before you ascend Toubkal. Today you undertake the day climb of Ouanoukrim 4089m/ 13,415 feet climbing 889m/ 2,917 feet of elevation with its scramble to the summit, which is the second highest peak in the region. The climb will acclimatize you perfectly for Mt. 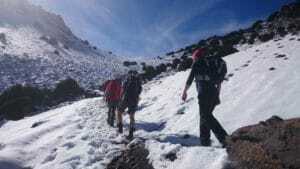 Toubkal climb. You descend back to the Mouflon refuge, and there is time to rest and relax in the late afternoon. Night in Mouflon refuge 6 or 7 hour’s hiking about 16 km/ 9.9 miles today. 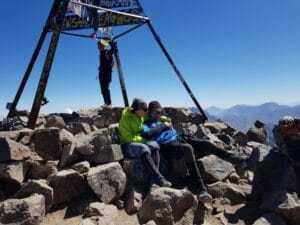 Refuge – Toubkal Summit. A very early start for the ascent of Mount Toubkal today. The trek starts up an easy angled snowy slope, before heading left and traversing the south ridge to reach the summit at 4167m/ 13,672 feet climbing 900m/ 2,953 feet of elevation. At the summit pyramid structure you can enjoy the panoramic view which stretches for miles in all directions. The descent is made by retracing your route to the col, and heading back down to the Mouflon refuge for the night. 6/7 hours hiking about 14 km/ 8.7 miles. Refuge- imlil. Today is potentially a spare day for attempting Mt. Toubkal, but generally this isn’t required, so after breakfast you leave the refuge and trek down into the Aroumd Valley, via Sidi Chamharouch to reach Imlil 1,740m/ 5,708 feet for the night. As the main ascent was probably yesterday, it’s likely your legs are a bit tired, but don’t worry as the guide is well aware of this, and you can take is easy today. You will spend the night in a riad in Imlil. 5/6hours 18 km/ 11.1 miles downhill 1,200m/ 3,937 feet of descent elevation. Imlil – Marrakech. After breakfast, you are driven back to Marrakech, (500m) arriving around lunchtime, and check in at the group hotel (normally 4 stars) again. There is time in the afternoon for you to have a tour of Marrakech, and the Djemaa el Fna market (souk). In the evening there is a group celebratory meal in Marrakech, where you spend your last evening together in Morocco, and can chat about all the amazing experiences of the week. Marrakech – airport. Enjoy breakfast in the hotel, and maybe a final dip in the pool, before you leave for your return transfer to the airport and your flight home. It is possible to extend your stay with one or more extra nights in the hotel. Just ask us for a quote and also have additional tours in Morocco. Are you ready to climb Mt. Toubkal. We will give you the best chance of success. Does this information excite you to take the next step towards achieving your goal to Climb Mt. Toubkal, just get in touch today. 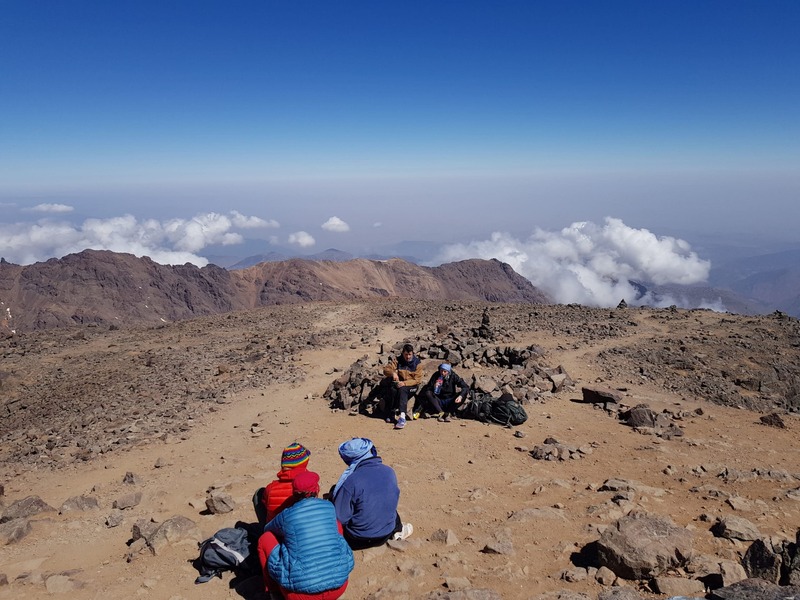 Our Toubkal cllimbing team, pride ourselves in making sure that you have every opportunity to succeed on the mountains, including professional training advice, gear lists and video links on how to pack your bag, and much more. We are always available 5 days a week to answer any questions you may have by email, phone or skype, so contact us today!